How much the word money can invoke joy in one’s mind similarly the word budget can invoke a lot of dread. How much ever a person may love earning money, he/she gets equally tensed when it comes to managing finances and expenses. With the advent of the techno era, there are a lot many online and apps available to make the nerve breaking task of managing expenses hassle free. Listing here 5 such apps that can help manage and track finances with ease. Based on the old-school ideals, where previously the elders of the family divided cash separately in different envelopes listed with various headings for every month and any more spending was averted from taking place other than the listed ones. You Need A Budget is the modern version of tricks of Grandma. It enables a special feature, where the individual can integrate his bank account and credit cards to the app. The app assists you to manage your spending by categorizing your expenses into various categories from debt payments, savings etc. If any day unexpected expense comes up, YNAB lets the individual move it from the budgeted category to whichever category he wishes to. YNAB lets you manage not only personal but the entire family’s budget listed and organized in your desktop. We often spend our money on buying things and making payments, only to end up forgetting where have all those extra money gone missing at the end of the month when budgeting. With Spending Tracker, a mobile application available for free on iOS and Android applications assists you to manage and track your spending behaviour wisely. This app has a peculiar way of reporting expenses by presenting them in the form of colorful graphs. This app is customized in a perfect way to suit the requirements of your personal finances. 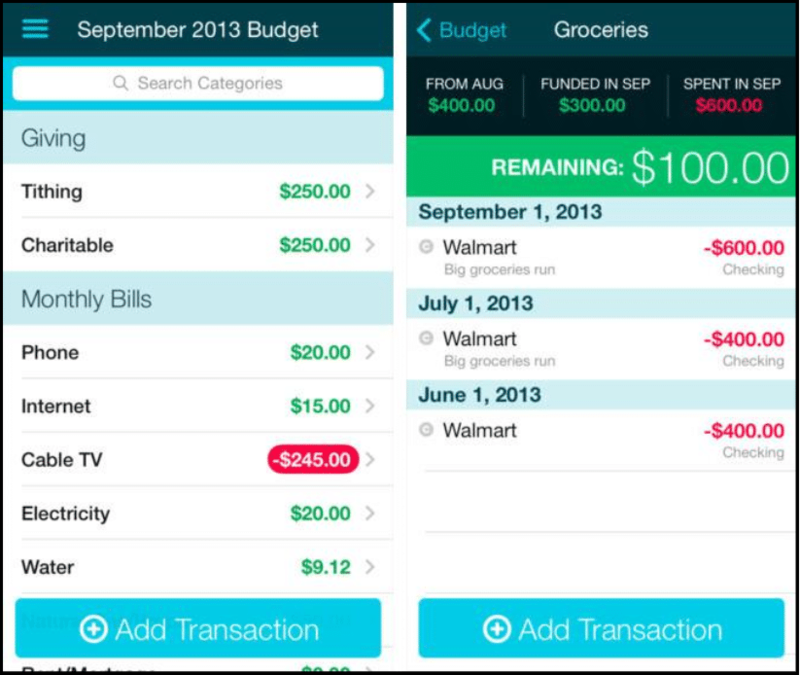 Mint is an all in one app for anyone looking out for a personalized budget manager and expense tracker. Mint by its peculiar way of linking itself to your bank account and credit cards synchronizes all your data, further categorizing them into required categories. It not only helps you set a budget for various categories but also sends you a notification as a reminder of your pending expenses and payments. All your data are completely secured as you can keep your data secured using the 4-digit pin. 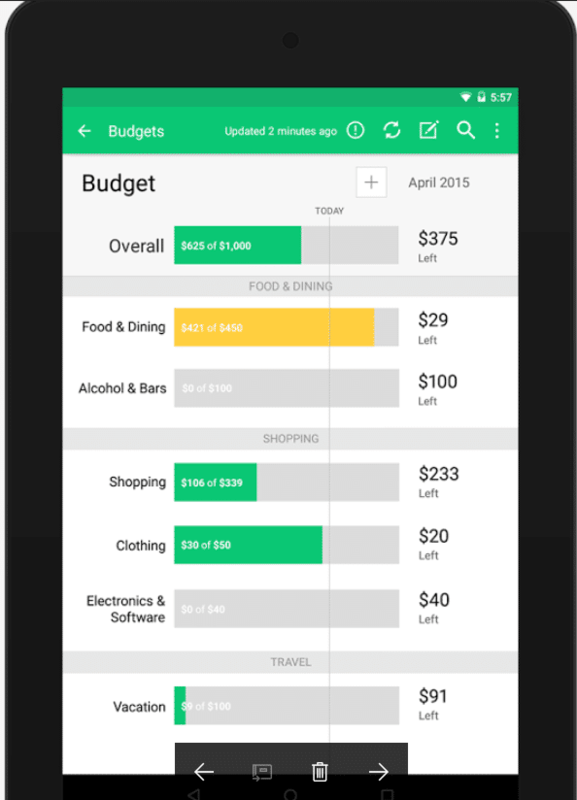 Quicken is an all in one app for any individual who is looking out for a personal expense manager. It enables you to build the household budget in aiding you to make investments. Similar to Mint, Quicken integrates itself with your bank account and credit cards and keep a track of your expenses. It sends you regular alerts on payments that are to be made and assists in creating a budget. An added feature provided by Quicken is it focuses more on reducing debts and provides you ways for saving. It offers facilities to add portfolio information, tracking investments, know about your performance and buy, sell stocks. By these enhanced features, Quicken has set itself to high standards emerging as contemporary for competitors. Money Wise works on similar grounds as that of Spending Tracker. 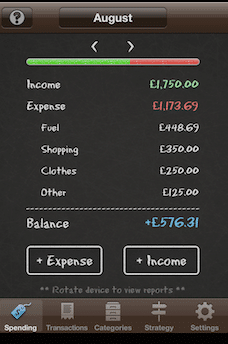 It lets one manage and track his/her finances in a refined manner. 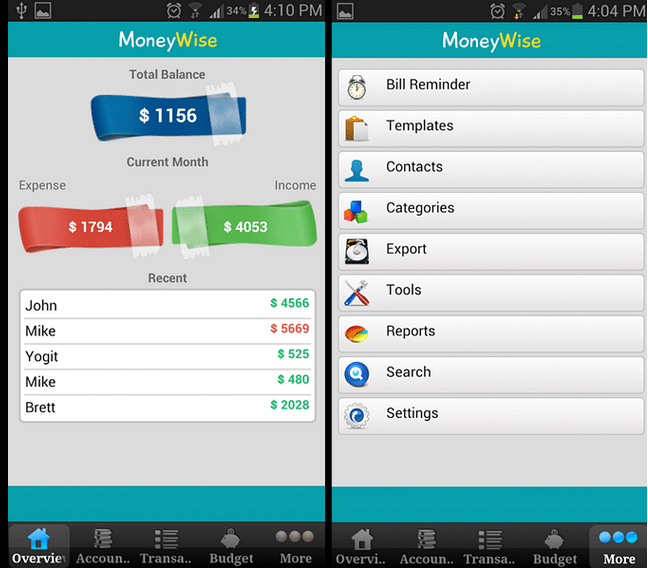 It can be termed as a user-friendly app, which enables the individual to categorize his expenses in various categories. Along with it monitoring your cash flow, it helps you set your goals and provide suggestions for achieving the same. It provides reports on finances in a definite manner in the form of colorful graphs. I have used Mint and grew to love it! Great way to track your expenses!